Aleksandra Liput is a painter and soft sculptor based in Warsaw, Poland. Using a variety of painting and textile techniques, she creates cycles of works each exploring a central broader theme. In previous cycles she’s tackled topics such as the very corporally aesthetic side of physical abuse and victimhood, as well as the dreams, wonders, nightmares and traumas occurring in children’s imaginations. Her most recent body of work is a playful take on modern sexuality and masculinity. 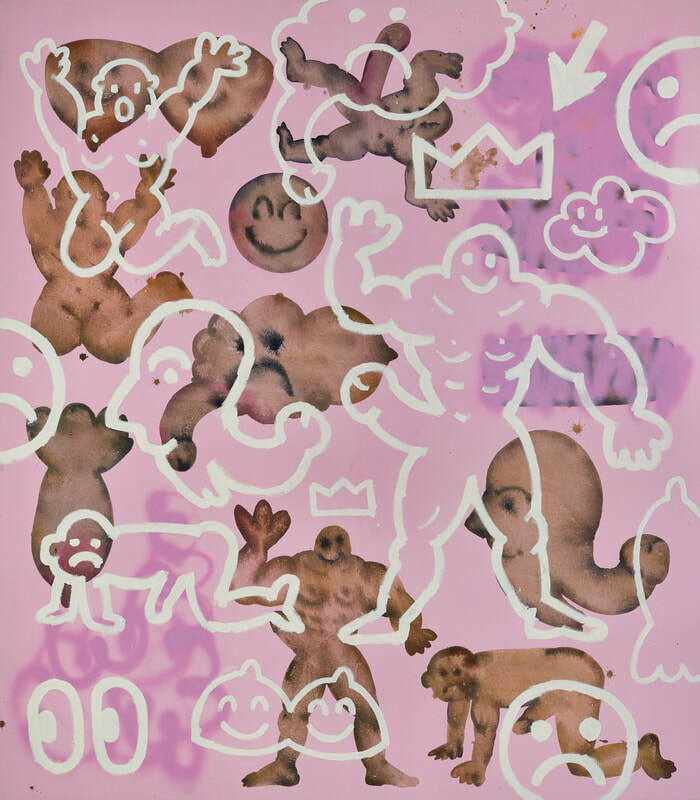 Drawing on references and imagery borrowed from prehistoric art forms, and colliding them with modern day, quasi-vandalist symbols, she paints a troubled world of sexual tension and insecurities surrounding depictions of masculinity in digital and social media. Image details: Aleksandra Liput z cyklu Lascaux (from the Lascaux series) (2018) techn mieszana, (mixed media) 160x140cm .